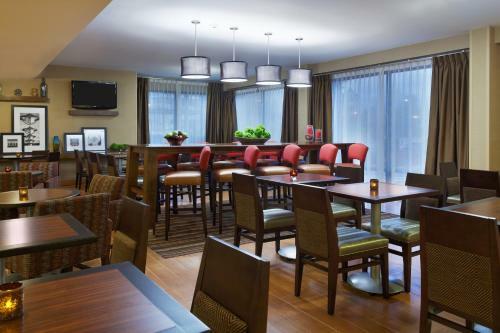 Offering a free daily hot breakfast buffet and spacious guestrooms featuring signature Cloud Nine beds, this Cary, North Carolina hotel is adjacent to WakeMed Cary Hospital and near downtown Raleigh. 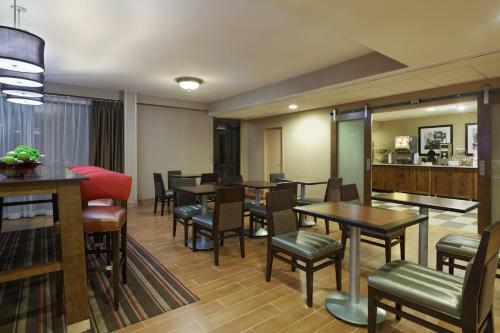 While staying at the Hampton Inn Cary, guests can enjoy free wireless internet access along with an outdoor swimming pool and a modern fitness center. 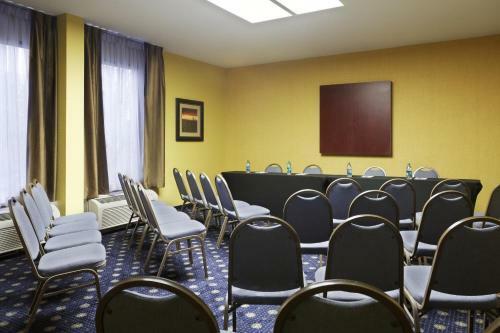 The hotel also offers 24-hour front desk service as well as business facilities. North Carolina State University, Harris Lake and Lake Crabtree are only a short distance from the Cary Hampton Inn. The KoKa Booth Amphitheater and the Crossroads Plaza shopping center are also easily accessible. 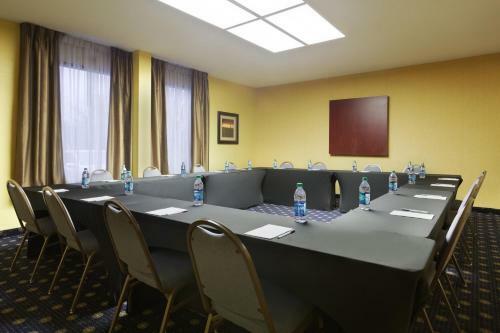 the hotel Hampton Inn Cary so we can give you detailed rates for the rooms in the desired period.